What regulatory framework Croatia needs at the doorstep of EU membership? This presentation will give a brief overview of the EU regulatory framework 2002 and Croatia's alignment thereto. Also, a detailed overview of the revised regulatory framework 2009 in the field of electronic communications networks and services will be presented, indicating the most prominent reforms of the package, with a particular focus on the changes in digital television broadcasting. Other important EU regulatory activities related to the electronic communications reform will be outlined, as well as the priority areas of the Digital Agenda for Europe. Finally, the key challenges which Croatia needs to focus its efforts on shall be identified, with the aim to speed up its economic recovery and lay the foundations of a sustainable digital future. communications networks and services, as well as postal services, and their alignment with the relevant EU acquis and standards, particularly by participating in the process of screening and negotiations under Chapter 10 (Information Society and Media), Chapter 21 (Trans-European Networks) and Chapter 14 (Transport Policy), as a member of respective working groups. He is appointed a Chairman of the Working Group of MSTI on drafting the new National Broadband Access Strategy. Also, he was a chairman of the Working Group of MSTI on drafting the National Television Broadcasting Switchover Strategy in 2008. In the area of international cooperation, Mr. Antonovic has been actively participating in all major ITU and CEPT conferences and assemblies (including plenipotentiary conferences and radiocommunications conferences on global and regional level). He is an observer at COCOM and member of several Croatian professional societies (MIPRO, ELMAR, MENSA). He also served as a chairman of technical committee of the Croatian Standards Institute, in parallel with his membership in several other technical committees. He has published six expert papers at MIPRO and ELMAR international conferences in Croatia, covering digital radio and TV broadcasting, radio frequency spectrum management and quality of service in telecommunications. The switchover from analogue to digital terrestrial TV, to be completed in Europe by the end of 2012, will free up a very large amount of radio spectrum. This ‘digital dividend’ will provide a unique opportunity to meet the huge demand for new wireless communications services, allow broadcasters to significantly expand their services and at the same time provide spectrum for social and economic uses. Applications in this latter category will include broadband applications which can help overcome the ‘digital divide’: ensuring equitable access to new information and communication technologies to all the people of Europe. The purpose of this paper is to investigate possibilities of digital dividend utilization in Croatia to find right balance of resource allocation in order to foster development of new electronic communication services and applications. Željko Tabaković was born in Rijeka, Croatia in 1972. He received his BSc in 1996 and his MSc in 2007 in electrical engineering from the University of Zagreb, Croatia. He is deputy director at Croatian post and electronic communications agency (HAKOM). His wok and research activities include frequency management, planning and optimization of radiocommunication networks, assignment of radio frequency, international frequency co-ordination, efficient spectrum utilization, dynamic channel allocation, cognitive radio. Mr. Željko Tabaković actively participate in work of International telecommunication union – ITU and European conference of postal and telecommunications administrations - CEPT working groups. The Government of the Republic of Croatia adopted the Analogue to Digital Television Broadcasting Switchover Strategy on 31 July 2008 with the main goal to finalize the switchover process by 1 January 2011. As this process successfully reaches its end, this presentation aims to provide an overview of the digital transition in the Republic of Croatia, including challenges and lessons learned. Ivana Andrijašević is a Deputy State Secretary of the Central State Administrative Office for e-Croatia. She is a member of the Working group for the coordination of activities in the process of digital switchover in the Republic of Croatia in charge for the digital switchover awareness raising campaign and the action for socially responsible digitalization - DTV 4 ALL. From 2002 to 2008 worked in the Department of International economic relations and trade policy of the Ministry of Economy, Labour and Entrepreneurship. Introduction - short historical overview of digital television in Croatia. Description of MUX A and MUX B networks with achieved population coverage and plan for MUX D. Procedure of analogue switch-off throughout allotments with overwiew of measurements before switch-off, "analogue islands" and problems in transition from analogue to digital TV recorded by call centre of the Government of The Republic of Croatia (0800 11 20 11). Born in Zagreb in 1962, married, father of son. After his completed elementary and high school education in Zagreb, he enrolled in Faculty of Electrical Engineering in Zagreb where he graduated in 1987. In the same year he started to work in RIZ-IETA Zagreb as junior research engineer in Radio communications department where he worked for the following 3.5 years. Since December 1990 he has been employed in OIV (Transmitters and communications Ltd), initially in the Maintenance and installation unit, where he gained experience through work in various technical departments (TV, FM, microwave links). In 1994 he was transferred to Design & Technology department where he was working on planning and design of TV and FM broadcast facilities and networks. Since 2004 he is Head of Engineering & Supervision unit, and now Director of Engineering division. Introduction - The main goal of this workshop is to present and discuss recent advances in the area of the distributed component-based embedded software systems particularly developed by researchers involved in project with the same name (DICES – Distributed Component-based Embedded Software Systems) founded through Research Cooperability Program and Unity Through Knowledge Fund. The main goal of the DICES project was to advance development of distributed embedded software systems with emphasis on software reusability and predictability of software quality. The aim of the project was increasing the software development efficiency and quality by applying service-oriented and component-based approaches. The project has advanced theories and methodologies for prediction of certain system properties, developed tools that will help in reusability of software components, and assured performance efficiency of the systems. as software engineering in general. 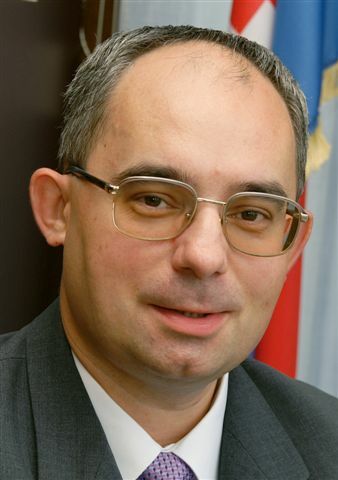 Professor Crnković is the author of more than 100 refereed articles and papers on software engineering topics and a co-author and co-editor of two books: "Building reliable component-based Systems" and "Implementing and integrating Product Data Management and Software Configuration Management". He has co-organized several conferences and workshops and related to software engineering (such as CBSE symposium, ESEC/FSE conference, Euromicro SEAA conference), and participated in Program Committees of software configuration management symposia and workshops.